The food business is a fast-growing industry that caters to over a million individuals per day. But where the demand is high, so is the competition. In fact, restaurants, fast-food chains, diners, and other food joints strive to make their presence known in the market through their exotic menu items and state-of-the art menu designs. And it’s not just your typical hand-held menu cards, we’re talking about large digital displays that can lure in just about any food-loving individual. After all, a happy tummy can lead to a happy life, right? 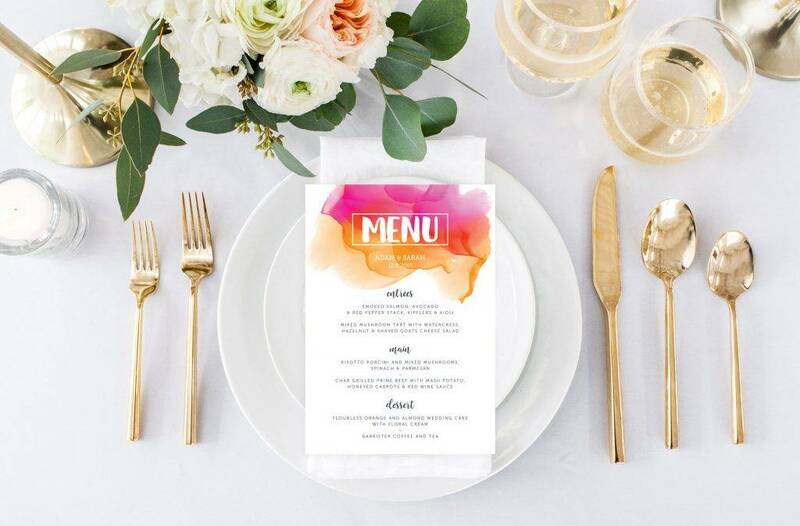 To describe a menu in its simplest sense, it’s generally described as a list of food and beverage offerings that a restaurant, a fast-food joint, a catering service, or any food establishment has in store for its customers. But if a plain printout of this list could serve the same purpose just as well, then why do most, if not all, businesses pay close attention to the way they design their menus? For any business, leaving a positive impression to your audience can always lead you to good fortune. You see, it’s all about giving them an experience they’ll never forget. Apart from providing good service and creating a great atmosphere to brighten one’s mood, the menu serves as a point of communication between you and your customers as well. 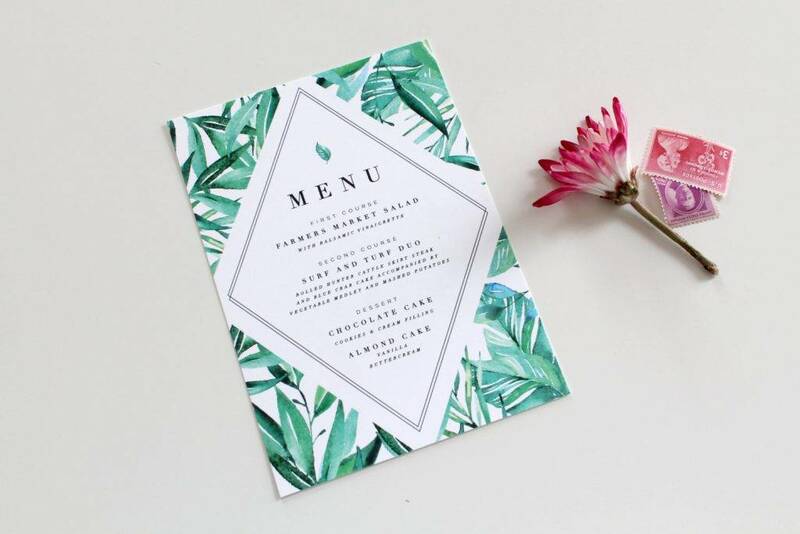 An individual may feel contented with how your menu is designed, in which it stays attractive yet informative enough to effectively deliver its intended purpose. This enables you to connect with potential customers and strengthen your relationship with loyal ones. Customers often feel pressured when having to decide on what to order from a menu, almost like a burden they’d want to escape as soon as possible. Sometimes, it can take a while for a person to decide, and when too much time has passed, they are forced to order just about anything from the menu instead of what they were really looking for. 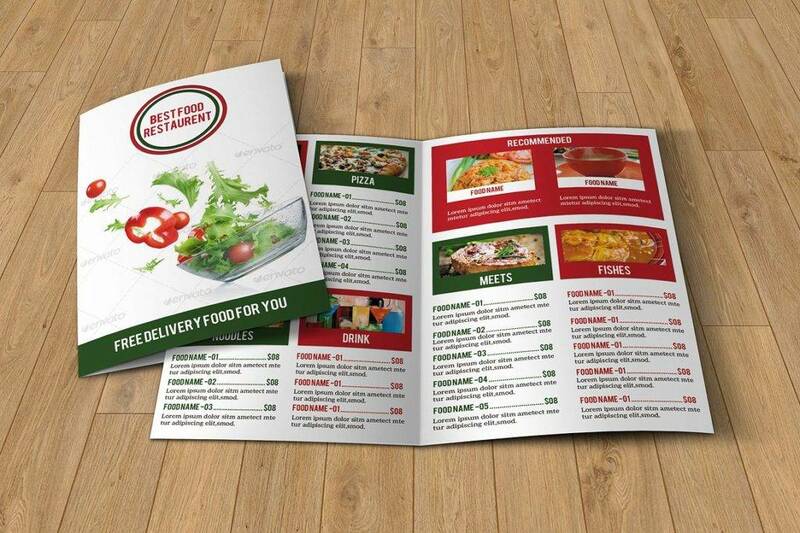 To ensure that customers are able to order something they want without wasting too much time, having a well-designed menu would be the perfect solution. 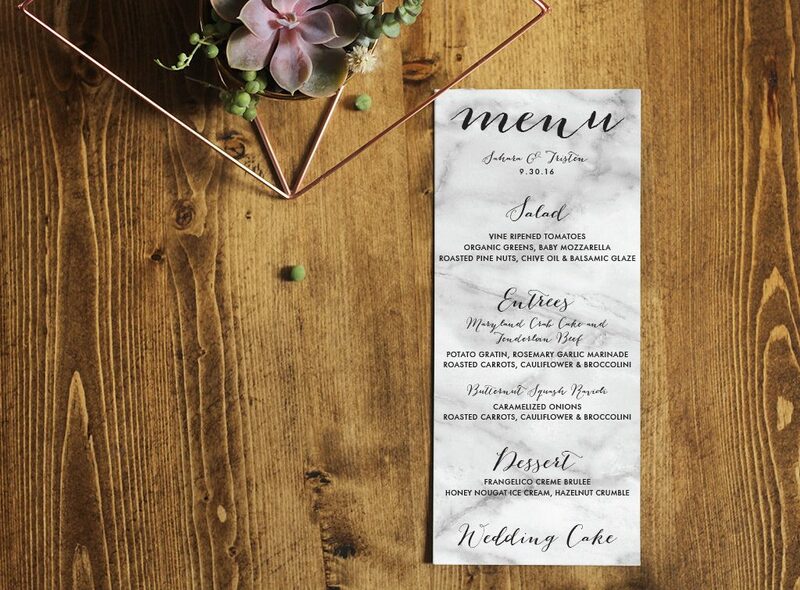 This would mean presenting menu items by specific categories, emphasizing dishes through lines and boxes, and using design elements to highlight significant parts of your menu. As business-minded individuals, we’re quick to associate customers with sales, and since sales mean profit for the business to survive, finding the right marketing tools is essential in keeping the business afloat. 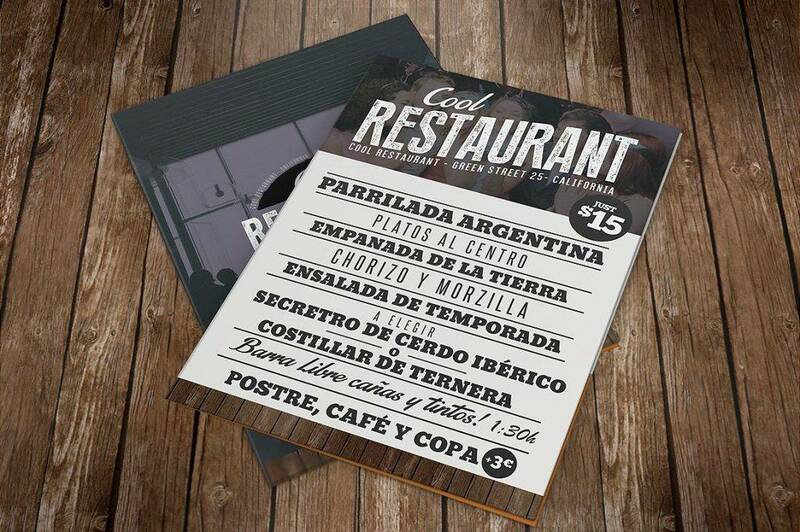 Some restaurant owners invest thousands in producing print and digital materials, such as TV commercials, newspaper ads, business flyers, and designer brochures, just to promote their business. Because of this, they sometimes forget how something as simple as an eye-catching restaurant menu creation could be just as valuable. 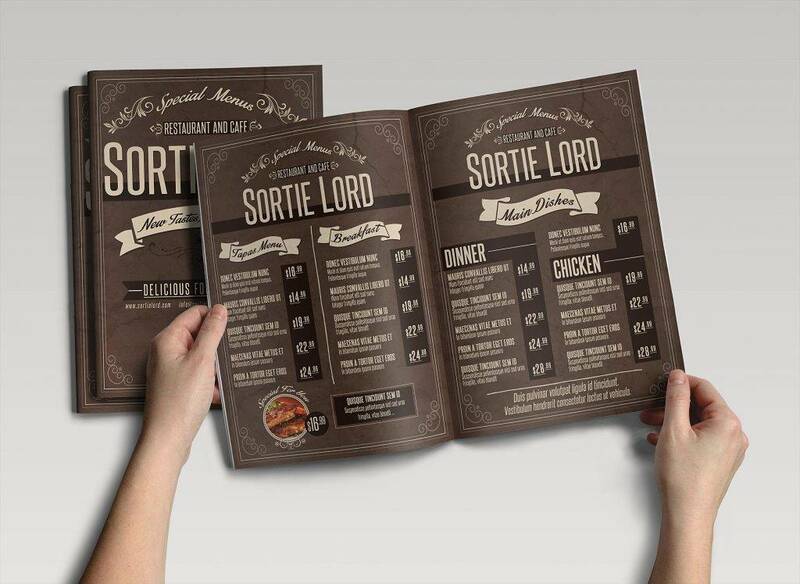 Not only can a beautifully made menu design spark interest among an audience, but it could also encourage one to order. Customers feel drawn to items that leave them salivating, prompting them to order more dishes from your menu. The widespread use of the average menu dates back to the second half of the eighteenth century when Chinese merchants discovered how they could cater to busy customers who had little to no time to prepare their own meals for dinner. 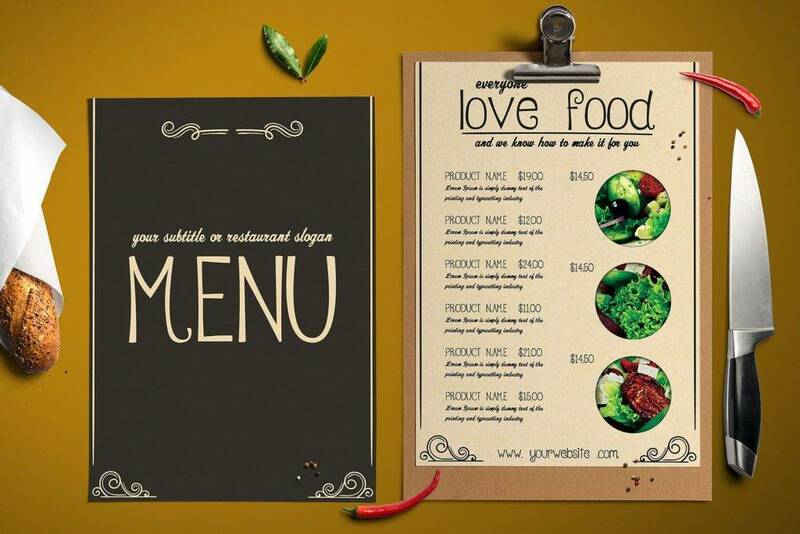 While menu designs are a lot different from how they were centuries ago, they still serve a common purpose. They’re often showcased differently for various reasons, usually depending on the type of business being run. 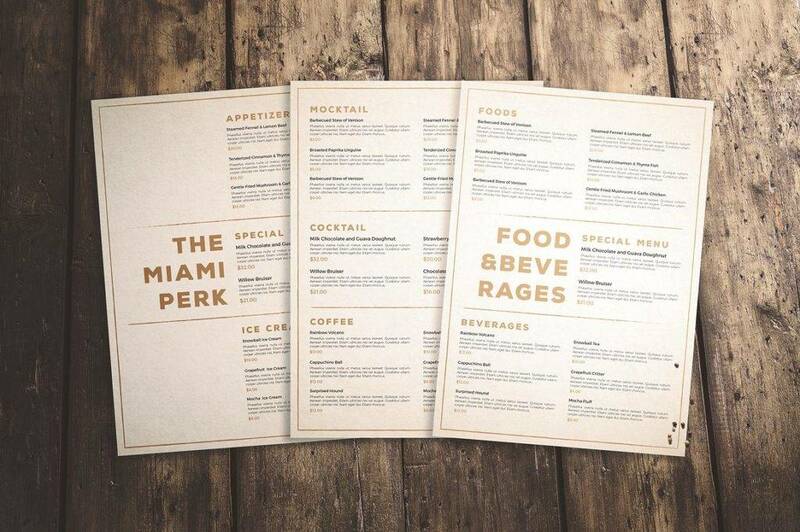 In some cafeteria-style restaurants and food chains, menus are either printed on sheets of paper or are used as disposable placemats. Other restaurants even laminate their menus or use menu covers to prevent them from getting ruined by tears, spills, and other substances. 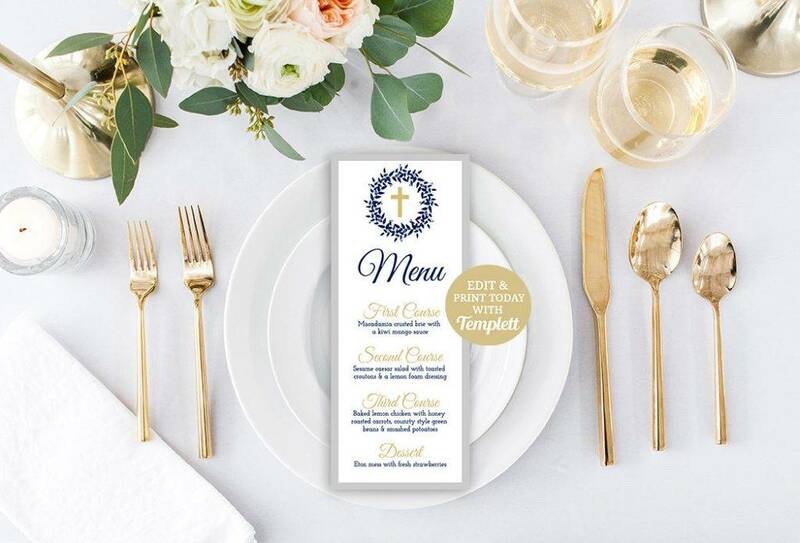 While paper menus are not as durable as menu cards, they’re still as great for making wedding menus and restaurant menu flyers. You might have noticed how food trucks and fast-food restaurants typically show their available items on large posters or display boards, which are situated just above the service counter. Considering how these establishments provide on-the-go services to cater a large number of customers at a time, a full-blown display of food and beverage items can definitely speed up the waiting lines. Cafés and other small eateries even use chalkboard menu designs as a creative method to showcase their goods to prospective customers. Outdoor sign boards are common among businesses that cater to special outdoor events, where these boards are situated at the entrance of the venue, along with the buffet table, or near the open bar. However, they are sometimes utilized by mid-level to high-end restaurants that want to attract customers with their mouthwatering entrées as well. 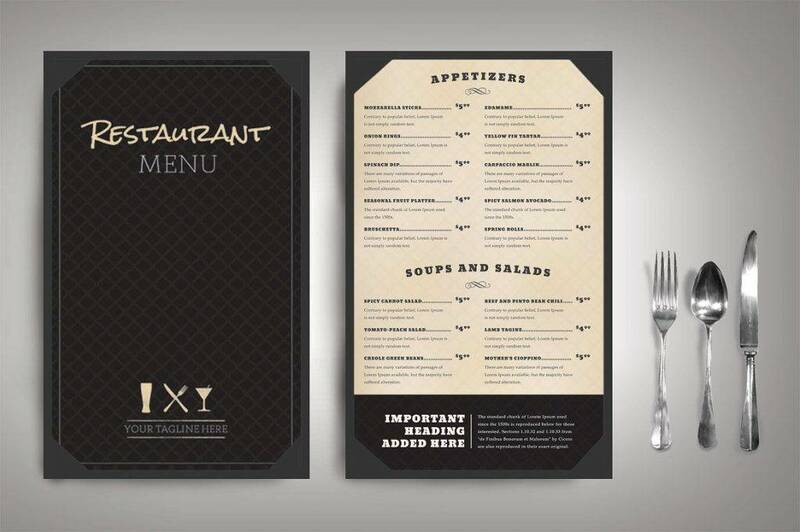 These sign boards are ideal for drink menus and cocktail menus, or even for regular food menus. Now that we live in an age of LCD, LED, and plasma displays, some establishments have decided to steer clear of the ordinary static menus and go for a more modern approach. Digital displays offer a number of benefits for a business. For one, this allows a business to get creative with animation, motion graphics, and other digital effects to create a menu that stands out. This makes it easier for restaurants to control what goes on display, especially when dealing with price changes and converting from breakfast to late-morning menu items. Thanks to the innovative world of technology, businesses are able to market their goods through online advertising and company websites. A lot of food establishments take advantage of this by featuring their food menus for customers to browse through and order from online. Here, payments may be done through online banking or a cash-on-delivery basis. It’s no different from the regular kind of online shopping, as menu items are typically displayed in a list or grid-type manner. Probably a cultural phenomenon you may or may not be completely familiar with; the so-called “secret menu” consists of unofficial menu selections that certain restaurants have available. But with this type of menu, you only learn about these items through word of mouth. Employees aren’t actually obligated to tell you what these items are, as this would take away the whole idea of having a secret menu in the first place. Keep it organized. 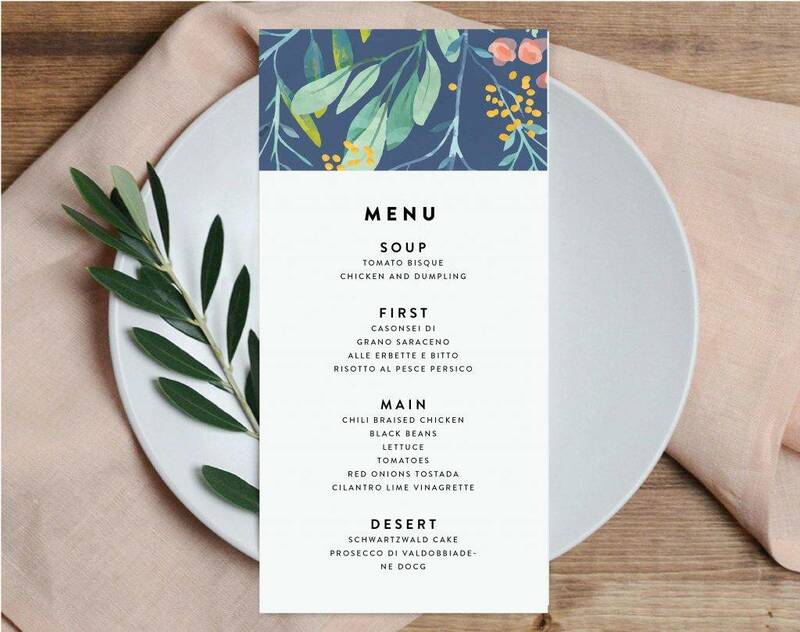 There are different ways to attain a clean-cut look for your menu design, even if you aren’t going for the full-blown minimalist appearance. Start by sectioning your menu into certain categories, where each item should be under its corresponding course meal. Observing proper alignment is a must, especially when it comes to pricing each item on the menu. 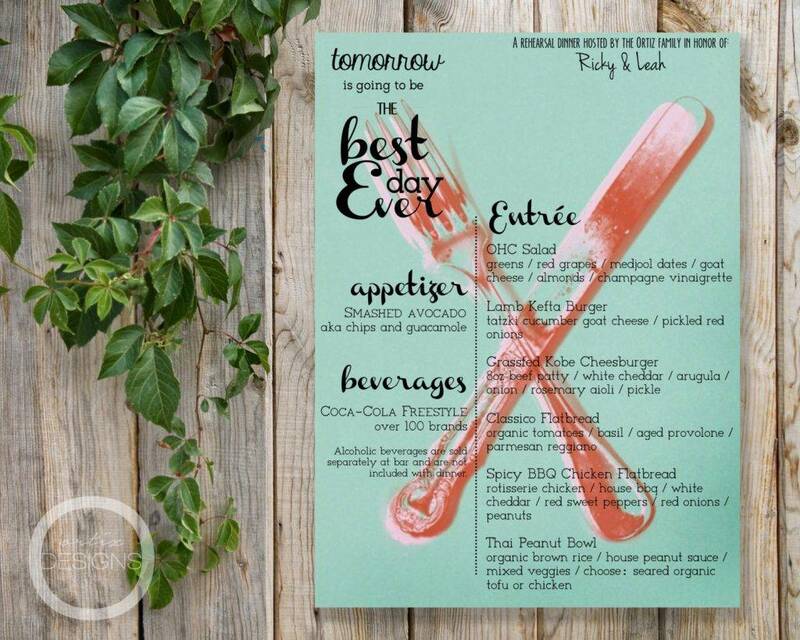 You may even emphasize best-sellers and the chef’s specials by using colors, bold text, or other graphics. Make use of descriptive text. One way to make your dishes sound even more appetizing is by adding evocative phrasing that could leave a reader’s taste buds tingling. Labeling items with descriptions that could awaken one’s senses is a great way to trigger emotions and entice diners even more. While it won’t be necessary to list every ingredient of a given dish, you might want to mention particular components that individuals with certain food allergies need to know about. Choose the right color scheme. Applying color theory in advertising is a great way to attract attention. That’s because people tend to respond emotionally to colors, like how children are drawn towards bright lights and vivid colors. Knowing this, you want to make sure the colors you use reflect the identity of your brand as well. This will help build emphasis on your brand and develop consistency in your marketing mediums. Use photos with care. By adding high-quality images to your menu, you can effortlessly stir up an appetite even without the use of words. This gives your audience a clear picture of what you have to offer, and a good reason why it’s worth a try. However, low-quality photos may garner an opposite reaction, so you might want to refrain from including anything grainy or pixelated from gracing your menu’s layout. Add your logo design. A business logo is just as important as every other element of a menu design. Why? 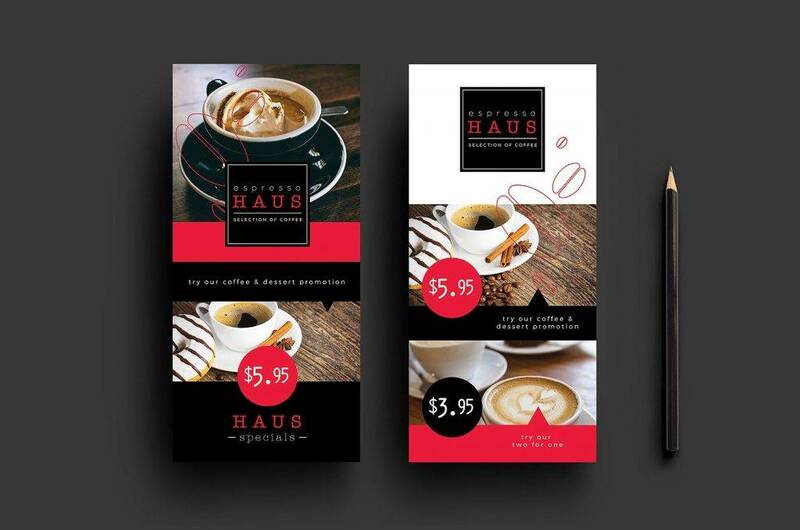 Because a logo design plays a key role in branding, so if you’re running a restaurant, you’d want the idea of your business to stick to the minds of customers. It serves as a constant reminder of your brand’s identity, as well as a person’s overall experience. Running a business is never an easy job. You need to focus on improving every component that affects a person’s perception towards your business in order for it to prosper. Everything from the way you decorate the interior and exterior elements of your establishment creates an impression, including your menu design. But bear in mind that a menu is more than just a sheet of paper; it’s the tool that creates a bridge between you and your customers. This is a vital matter that entrepreneurs, designers, and engineers all need to handle accordingly.